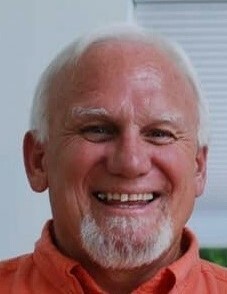 Adams, Michael Charles “Mick” 66, of Clover, SC, passed away Monday, January 28, 2019 at home. Born on November 30, 1952 to the late Robert Charles and Linda Marie Sibley Adams in Jacksonville, FL. Mick grew up on Merrill Street and graduated from West High in Torrance, CA in 1971, where he played football, baseball, and served as class secretary of activities. He was a proud FedEx retiree of 26 years, collegiate umpire, small business owner, and Veteran of the U.S. Army. Mick cherished a love and affinity for music, attending over 400 live concerts all neatly documented by a ticket stub. Mick was also known as a baseball savant spanning from Mikey Mantle to Mike Trout, subtly knowing every rule in the rulebook. He enjoyed listening to the Los Angeles Dodgers and the Detroit Tigers games, in between Little Feat and Jethro Tull “albums”. Above all, Family meant the most to Mick. It was evident in his words and by his actions. He loved deeply and gave freely. His jovial smile, friendly blue eyes, and quick sense of humor will be missed my many. Mick was preceded in death by his parents and younger sister, Christine Janelle Adams. He is survived by his beloved wife of 40 years, Sally Rae Bronson Adams; his daughter Carissa Rae Olds of Seattle, WA and her husband Jeff; his son Christopher Charles Adams of Charlotte, NC and his wife Michaela, his step-mother Cass Adams, step-sisters Gerrie Outlaw and Ginger Sutton, and step-brother Joe Outlaw and his wife Cheryl. He leaves a legacy of love to his grandsons: Bronson Charles Adams, Nash Michael Adams, Michael Emmett Olds & Carson Jeremy Olds. The memorial service is scheduled at 12:30 p.m. Friday, February 1, 2019 at M. L. Ford & Sons, 209 N. Main St., Clover, SC with the Rev. Jack Fleming and his friend, Rev. Jonathan Ramsey officiating. In lieu of flowers, please consider a memorial donation to https://www.gofundme.com/f/next-breath-support-group or just be thoughtful and loving towards Sally Rae Adams and help a stranger in need. Online condolences may be made at www.mlfordsons.com or Mick Adams’ Facebook page.